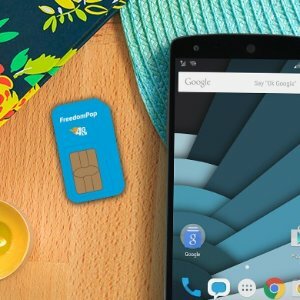 FreedomPop offers the 100% FREE Mobile Phone Service w/ $0.01 SIM Card Kit. Penny SIM is back! Try FreedomPop for FREE with a 14-day trial. 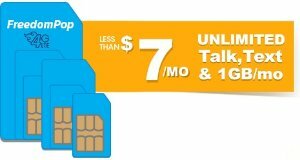 After your trial period, do nothing and enjoy saving hundreds each year with Unlimited Talk, Text, and 2GB LTE for only $11.99/mo (a $24.99 value) billed every 6 months for a total of $71.94. No contract. Cancel anytime. Plus 30-day money back guarantee. Downgrade data plan: Go to My Account > Plans and click on link for your current plan in the "My Plan" section. On details page, look a tiny downgrade link ("To downgrade your plan, click here") at the bottom. 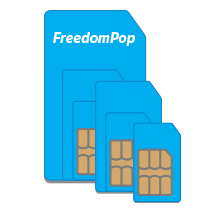 FreedomPop offers the Free Mobile Phone Service with 3-in-1 SIM Card Kit for $0. 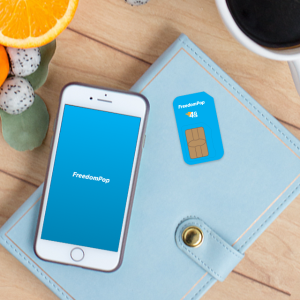 FreedomPop offers 100% FREE Mobile Phone Service w/ $0.01 SIM Card Kit. 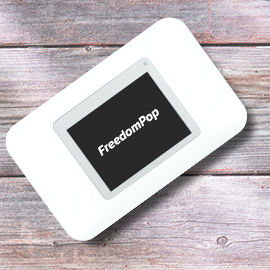 FreedomPop offers the Free Wireless Internet + Free Hotspot for $9.99. • No contract. No commitment. Cancel anytime. 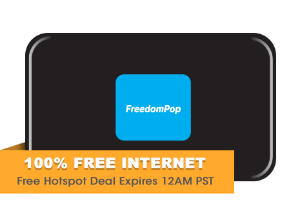 FreedomPop offers the 100% Free Wireless Internet + Free Hotspot for $19.99 . FreedomPop offers the $1.99 get free 2gb bonus data ($40 value) 100% FREE Mobile Phone Service w/ 3-in-1 SIM Card Kit. 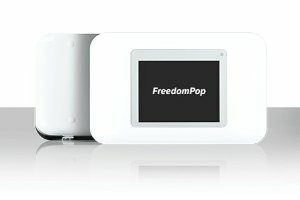 FreedomPop offers the 100% FREE Talk, Text, and 4G LTE Data w/ 3-in-1 SIM Kit with FREE 2GB Bonus Data ($40 value) for $2.99. Features: The kit Includes LTE SIM Kit - 3-in-1 - Voice/Data Bundle; Premium 2GB LTE Unlimited Trial ($24.99/mo value); FreedomPop Phone Premier Trial ($7.99/mo value). After 1-month Trial, you can cancel or downgrade to Free Basic Plan (200 mins, 500 texts & 200MB) at any time, When you downgrade, you will be charged a one-time fee of $15 to cover any data overage in the future. Compatible with most unlocked GSM AT&T and Tmobile phones; Use your phone around the world. FreedomPop service currently only supports Android and Apple devices running Android 4.1+ and iOS 8.2+. 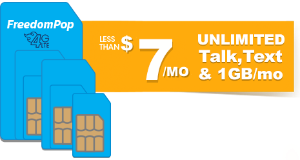 FreedomPop offers less than $7/mo 3 -Month Unlimited Talk, Text, and 1GB Prepaid Plan. * No introductory pricing - After your 3 month period, easily renew at the same rate. * Compatible with most unlocked Android & iOS GSM devices including unlocked phones from AT&T, T-Mobile, Metro PCS, Cricket and other GSM carriers"
FreedomPop offers the 100% Free Wireless Internet + Free Hotspot for $9.99. 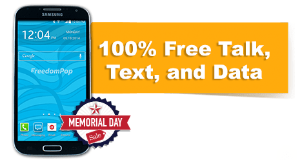 FreedomPop offers 3 -Month Unlimited Talk, Text, and 1GB Prepaid Plan for $19.99/quarter. FreedomPop offers the 100% Free Basic Plan w/ Pre-Owned Samsung Galaxy S4 for $49.99. 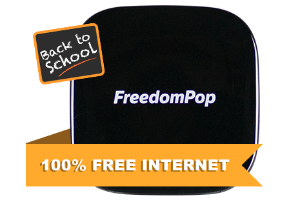 FreedomPop offers the Internet Hotspot w/ Free 2GB 4G LTE Data for $9.99. Features: The bundle Includes Internet Hotspot and 2GB LTE($24.99/mo.). After 1-month Trial, you can cancel or downgrade to 100% Free Basic Plan (500MB 4G LTE every month) at any time. When you downgrade, you will be charged a one-time fee of $15 to cover any data overage in the future. Compact device that fits in your pocket so you can take it anywhere you go. The device connects up to 10 devices via WiFi including smartphones, laptops, tablets. It features a sleek 2.4” / 320 x 240 pixels (QVGA) resistive LCD touchscreen with data usage meter. 30-day risk free trial. No Contracts. 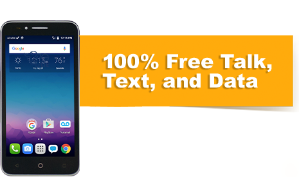 FreedomPop offers the 100% Free Mobile Phone Service + Free Alcatel OneTouch Conquest - One-time Activation NOW $9.99. Compatible with most unlocked CDMA phones; Use your phone around the world. FreedomPop service currently only supports Android and Apple devices running Android 4.0+ and iOS 7.0+. VIP Customer support. 3-day risk free trial. No contracts. 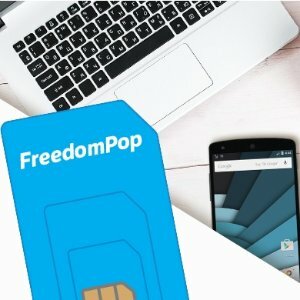 FreedomPop offers the 100% FREE Talk, Text, and 4G LTE Data w/ 3-in-1 SIM Kit with FREE 1GB Bonus Data ($20 value) for $0.99. 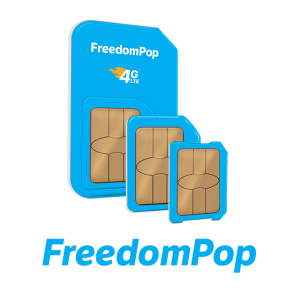 FreedomPop offers the 100% FREE Talk, Text, and 4G LTE Data w/ 3-in-1 SIM Kit for $4.99.